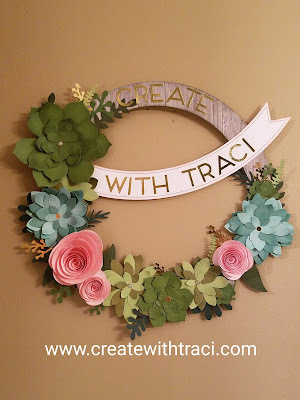 At Close To My Heart, we like to celebrate National Papercrafting Month in January of each year- with some type of FUN project... and this year they didn't disappoint. 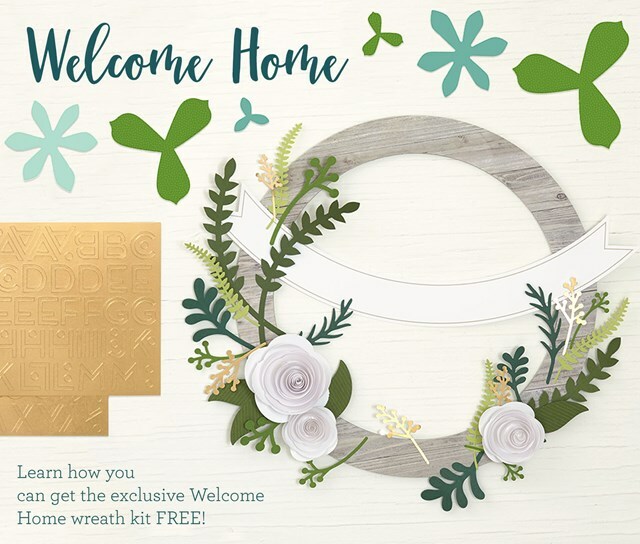 This home décor wreath kit comes with all die cut pieces, ready for assembly. I used that tool on my own wreath as well. If you don't have one you can roll the flowers using a pen or pencil but the quilling tool is definitely easier, and the flowers end up a little "tighter"
Lastly- here's MY wreath that I assembled for my classes January 22 and 28. I love this kit so much and can't wait to help others create their own. As you can see- I sponged my white roses with pink. I also added pink sponging on my banner but it's hard to see in this photo.